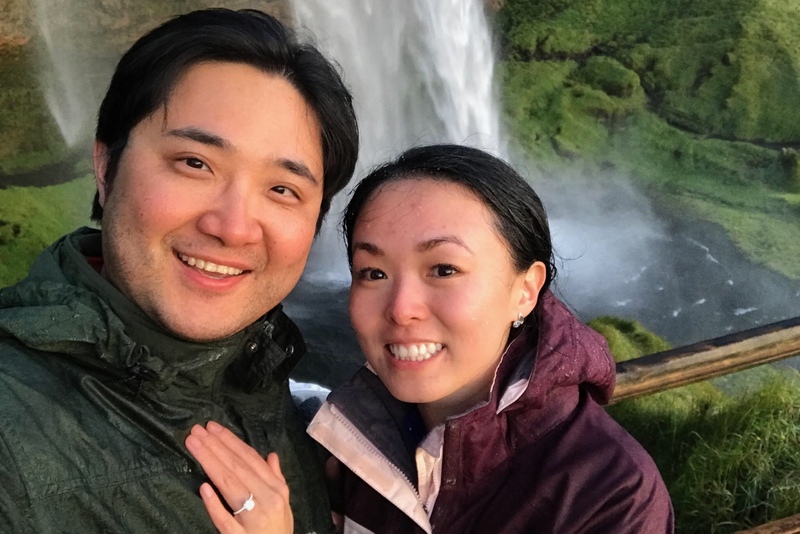 The proposal happened behind Seljalandsfoss waterfall in Iceland in August 2017. Lily and Bo had been running to the trail behind Seljalandsfoss to try to catch the view at sunset, but had just missed it. Fortunately, that meant there really weren't people around. So Bo pulled out a box, got down on one knee and proposed! To psych himself up, he told himself, "she's definitely going to say yes". And of course Lily did! !